DOOR GALLERY produces and distributes originally designed decorative glass and high-quality door systems. We have been complimenting front entrances across North America since 1994. Our state of the art facility is able to provide unique and luxuriant products that exceed expectations and are of premium quality. Our door systems are diverse in both style and size, and can be uniquely customized according to your preference. Entry doors are fashioned with originally designed, hand crafted compositions, ranging from custom wrought iron to prominent stained glass artwork. 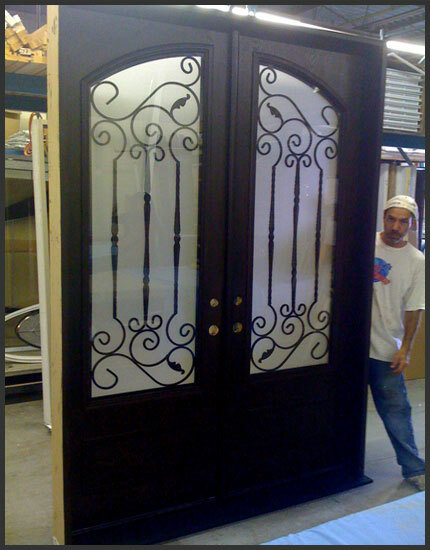 Door Gallery cutting-edge fiberglass systems are available as well. All of our products are maintenance free. Door Gallery establishes market leadership by providing outstanding service while maintaining unparalleled product perfection. Our team welcomes innovation and is attentive to constantly changing market demands. We recognize that our success is dependent on our ability to fulfill the interests of our clients. Our history and experience accredit us as the prominent provider.